Natural . Timeless . Emotive . 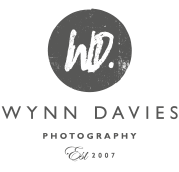 We're Richard & Caroline Wynn-Davies, providing emotive, natural and timeless wedding photography across Yorkshire, the UK and beyond. Here you will find just a small sample of our work to give you an idea of what you can expect from your engagement & wedding photography. Celebrating your engagement in photographs is where your experience with us starts. Capturing all the excitement of the wedding day morning and the all important "I do"
Beautiful couple portraits and all the wonderful candid moments from your wedding reception. Your Wedding Day is one of the most fabulous days of your life. As you finally drift off to sleep at the end of it, one of your final thoughts will be "I can't wait to see the photographs”. View our full service and pricing details.